This past Saturday, Transformation Table and Enough Pie collaborated as part of AWAKENING: NOURISH on an Upper Peninsula dinner. Ten strangers, with different backgrounds, different beliefs, and different experiences joined around the table to talk and share. The idea behind Transformation Table is that barriers, labels, stereotypes, preconceived ideas, and assumptions can be broken down if we get together and share a meal. It’s about food, culture, and connection. The dinner was hosted at the home of Enough Pie board member Susan Gregory and her husband Reggie Tawes-Smith. 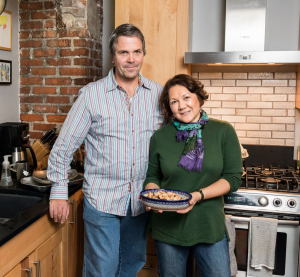 Home cook extraordinaire and Charleston Promise Neighborhood Director of Programs, Vicky Ingalls, took guests on a culinary adventure to Thailand. This sentiment was shared by the amazing home cook. “Participating in a Transformation Table dinner is all about cooking for family and friends. You may arrive as individuals, but you leave as family. Without a doubt, food is a universal connector, an automatic conversation starter and a relationship builder. This is where community starts to grow and take shape” said Vicky Ingalls, home cook & Program Director at Charleston Promise Neighborhood. The food cooked by Vicky and her sous-chef (read as husband) Chris, is vital to the ethos of Transformation Table. Transformation Table is a movement where strangers of different backgrounds, life experiences and perspectives come together to see, hear, and understand each other. It’s about creating a conscious transformation where we move beyond the differences that seem to separate us and into experiencing our common humanity. 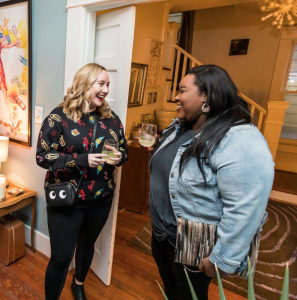 “Artists and community activists from North Central neighborhood who were strangers to each other spent hours around the table, talking about everything from views about gentrification to the importance of multigenerational interaction. I was in awe of everyone around the room. A beautiful evening” said Tina Singleton, founder of Transformation Table. This year’s AWAKENING theme is NOURISH, with the goal to connect and empower community based on creative and joyful access to nurturing food, stories, and art. 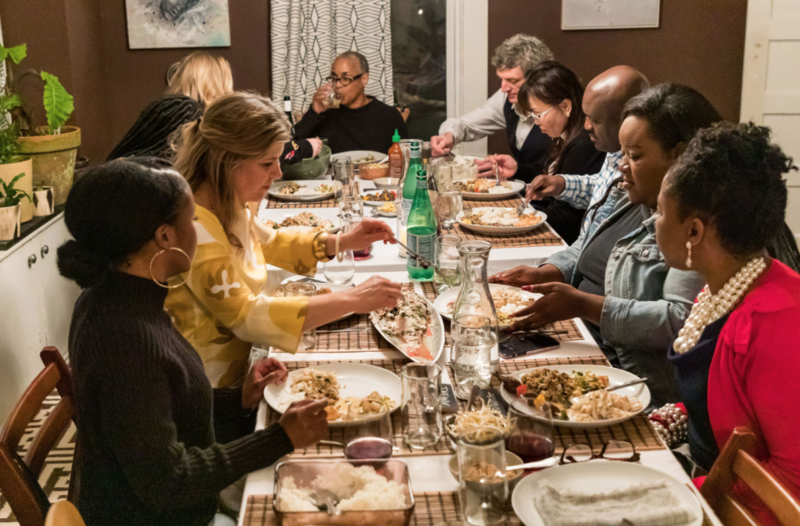 This collaboration with Transformation Table hit the nail on the head, bringing together a group of neighbors to share food and stories together in ways many of the guests never thought possible. Come join us at the Table! Our next Enough Pie/Transformation Table dinner is Saturday, March 23. If you live in the Upper Peninsula and are interested in attending the dinner please contact Bennett at bennett@enoughpie.org or call him at 843.972.3253.